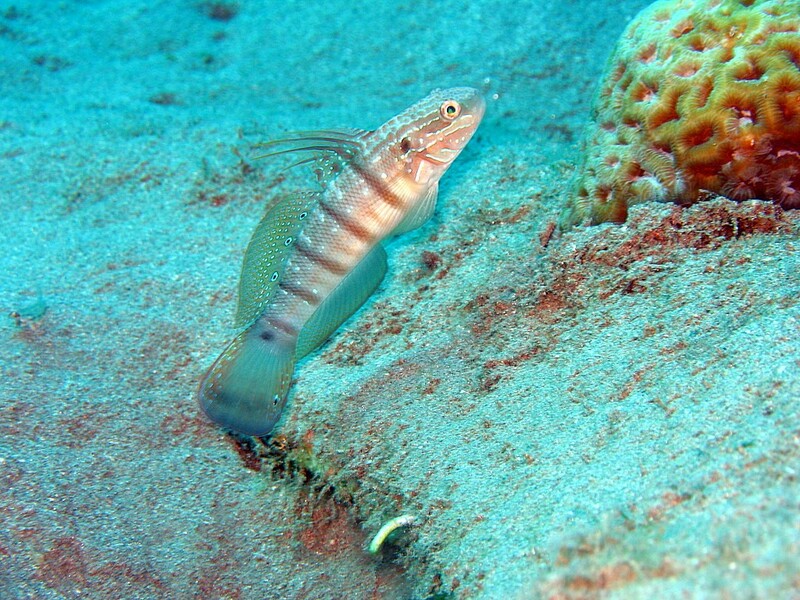 The Goby genus, Amblygobius is comprised of 14 species…..
Amblygobius inhabit the range of the Indo-Pacific. 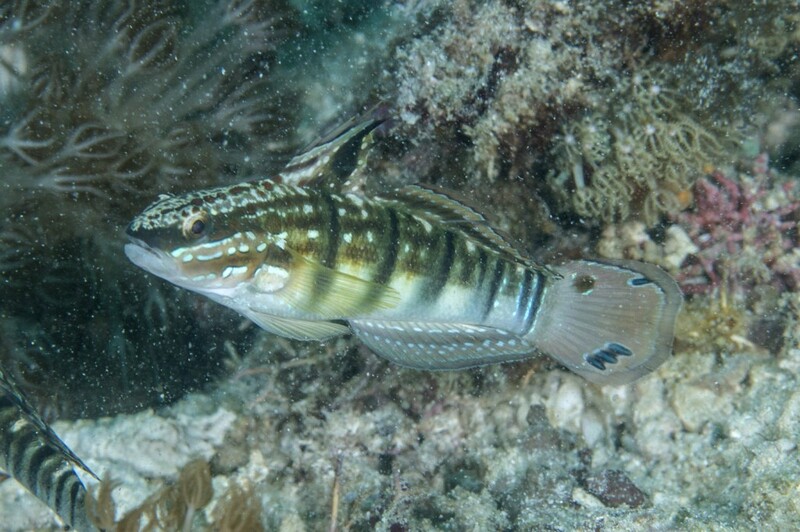 Like many sleeper gobies, individuals in the genus spend much of their time hovering suspended in the water column over a sandy bottom where they hunt for invertebrates and forage for algae in and around the sand beds where they spend their lives. 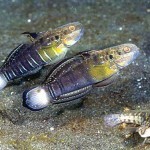 Of the 14 species of Amblygobius gobies only A. phalaena, commonly know as the Brownbarred, Bullet or Sleeper Banded Goby is readily available in the US aquarium trade where it typically sells in the $18.00 – $25.00 price range. 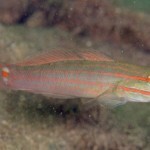 On occasion, A. decussatus or Orangemarked Goby is available in the trade. 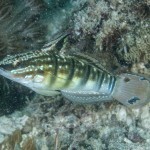 For the purpose of this article we will focus our attention on caring for A. phalaena and A. decussatus in the aquarium. 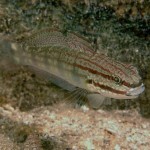 This Goby is characterized by an overall greenish brown body color with five dark brown to blackish bars. 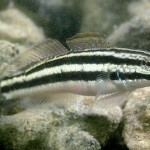 There is a pale edged dark stripe through the eye and another across the cheek with a distinguishing eye spot on upper caudal fin. 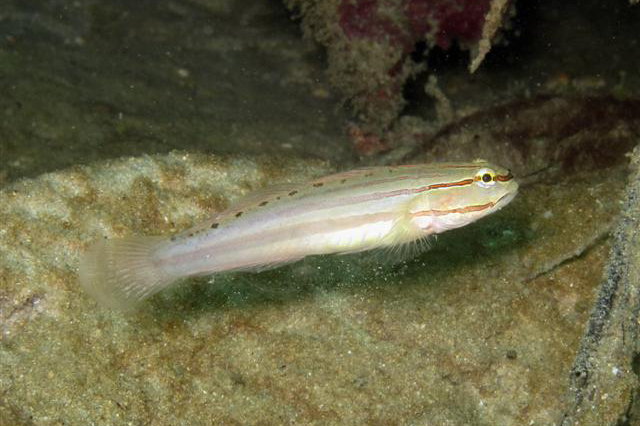 In the wild, A. phalaena can typically be found on the sand bed at depths ranging from 6 to 65 feet where it gulps in sand and sifts out small invertebrates and algae for sustenance. 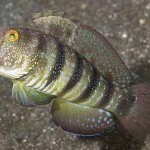 Typically you will find A. phalaena in the 3″ size range in your local fish store but they can grow to about 6 inches in length making this species one of the largest members of the genus. 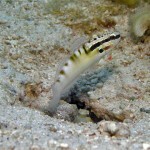 This is one of the more aggressive sand sifters you will find in the trade spending much of the daylight hours sifting through the top layers of the aquarium sand bed. 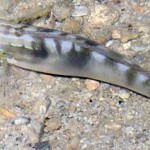 Owing to it’s larger size, the Bullet Goby can penetrate deeper in the sand bed allowing it reach pray which is inaccessible to other species in the genus. 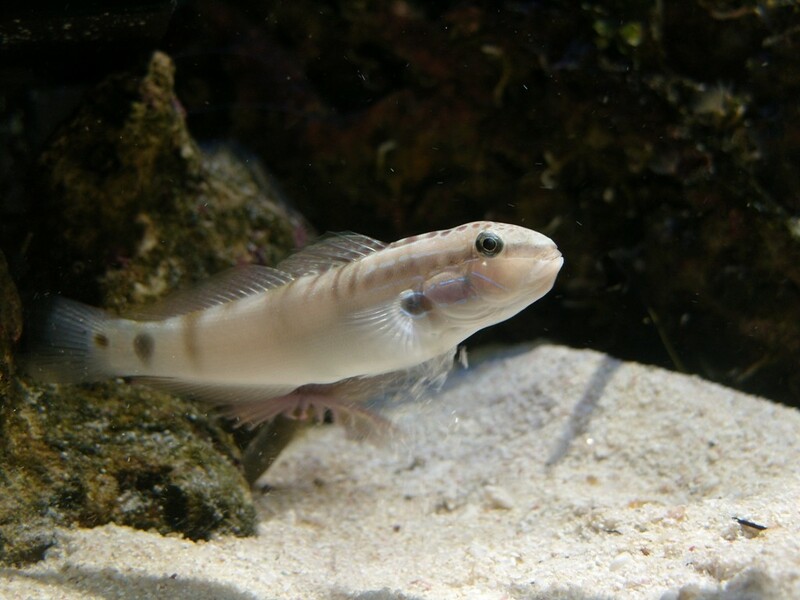 In the captive aquarium environment the Bownbarred Goby will accept live foods, frozen brine and mysis shrimp along with a few off of the shelf foods containing a mix of plant and animal based matter. 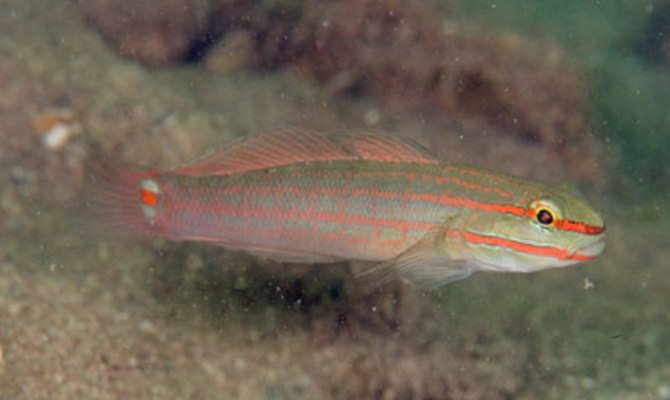 These fish rarely have compatibility issues with other aquarium fish but are know to be highly territorial towards there own kind which would be in competition for their food source. 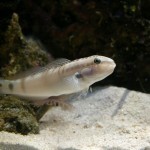 It’s best to keep only one of these in an aquarium unless you are able to obtain a mated pair. The minimum recommend tank size is 20 gallons. 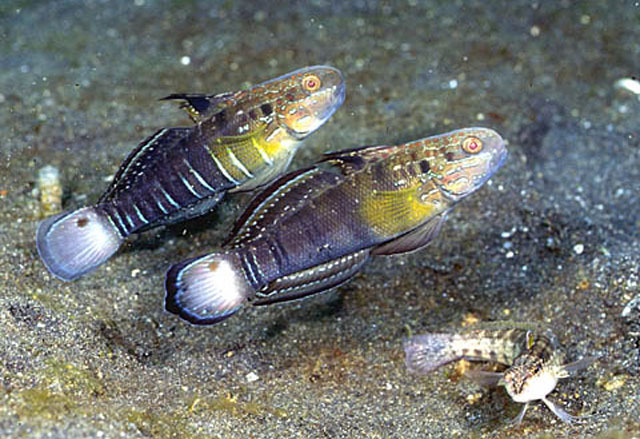 The Orangemarked Goby hails from the Solomon Islands and spends most of it’s time around coral reef rubble zones. 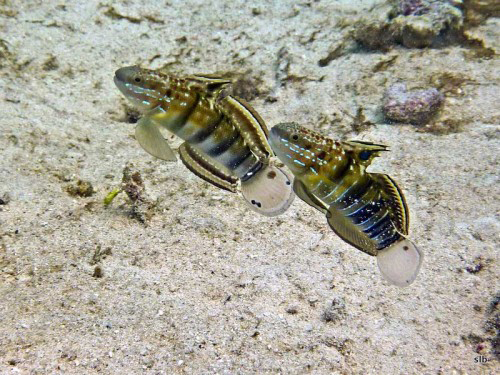 Like other Amblygobius sp., these smaller cousins to A. phalaena spend much of the day sifting through sand and processing mouthfuls in their search for invertebrates living in the sand. 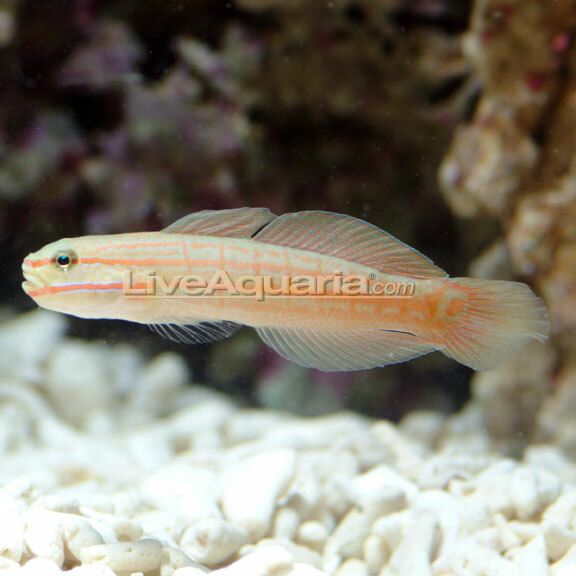 Displaying pastel to vivid bright orange vertical and horizontal markings across the face that fade towards the caudal fin, these gobies are a very attractive addition to the reef aquarium as long as there are no large predatory fish present. 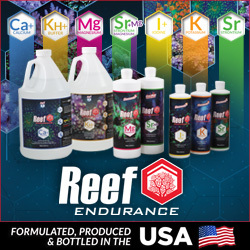 Reaching a maximum length of 4″, these fish are considered easy to care for provided that they are well fed with plenty of live rock and a sandy substrate of fine to moderate sized granules is available. 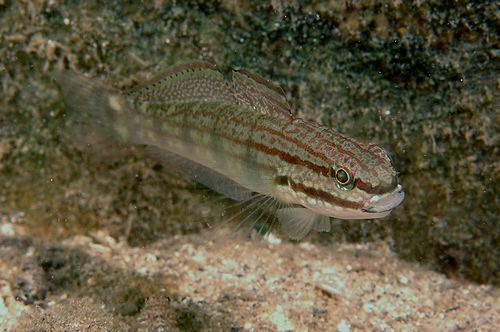 Like other sand sifters, the Orangemarked Gobies are generally peaceful fish that spend their time focused on feeding and consequently keeping the sand bed aerated and clean. 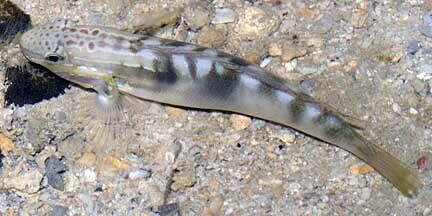 This goby will consume a variety of small crustaceans, vitamin-enriched live or frozen brine shrimp, mysis shrimp, prepared foods for herbivores, and a flake or pellet foods. 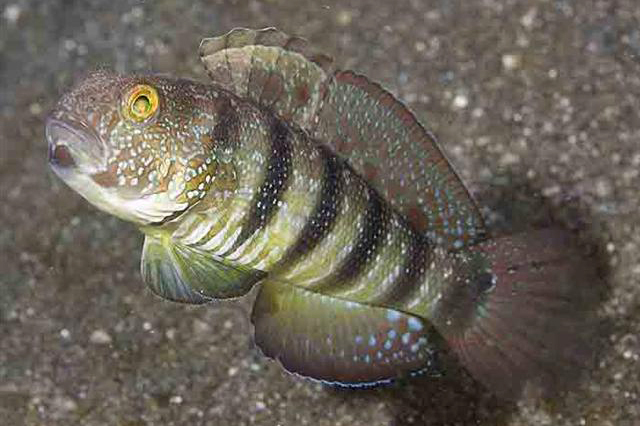 Be sure to keep a close eye on its belly to see if this fish is receiving enough nutrition. 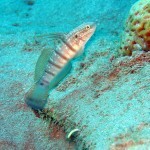 A concave belly is a sign that this fish could be declining and a change in it’s nutritional regime is necessary. 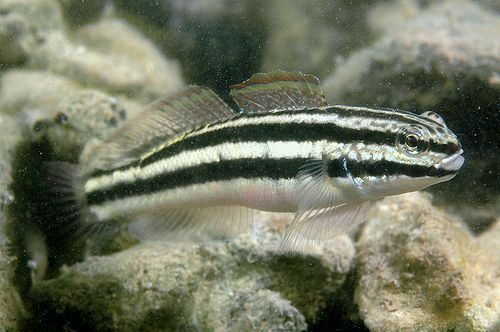 A. decussatus should be kept in a 20 gallon or larger aquarium with a well established (plenty of invertebrates) sand bed. 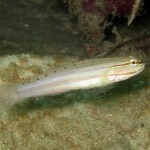 It is important to have a canopy or screen over the aquarium because these fish have been known to jump out of the aquarium when provoked or startled. 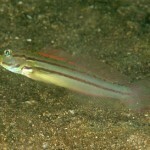 Like A.phalaena, these fish will rarely become aggressive towards other fish, but they are territorial, and will fight with its own kind unless they are kept as a mated pair. Below is list of all discovered Amblygobius in order of when they were identified as a unique species. 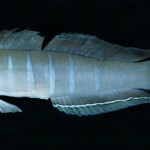 Note: Missing from the photo list below is A. sewardii. 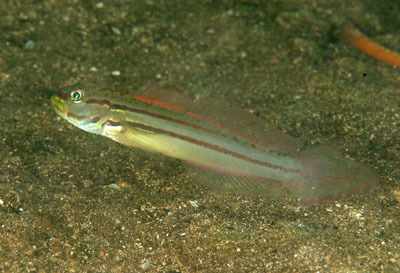 We were not able to locate a picture of this species. 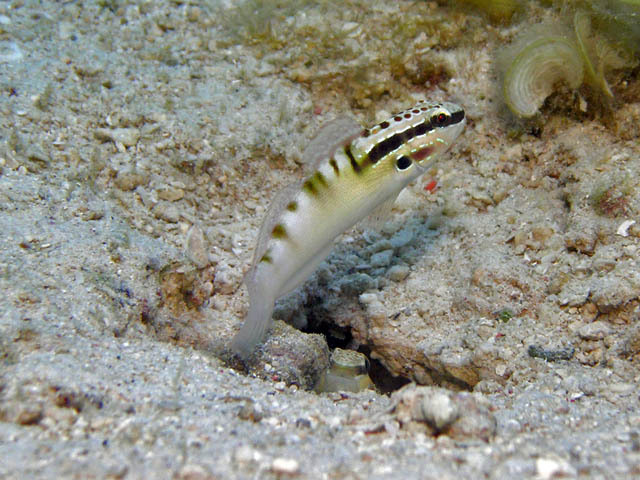 EDITOR’S POST SCRIPT: A small body of researchers argue that there acre actually 15 species which would include A. rainfordi, however A. rainfordi is actually classified in the Koumansetta genus….we will touch a little more on that in our next sand-sifting goby article.